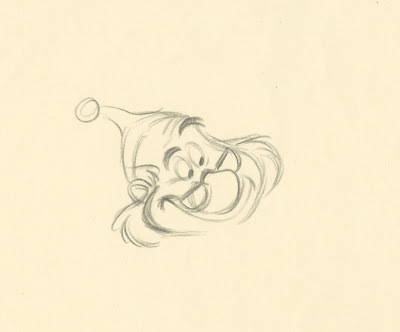 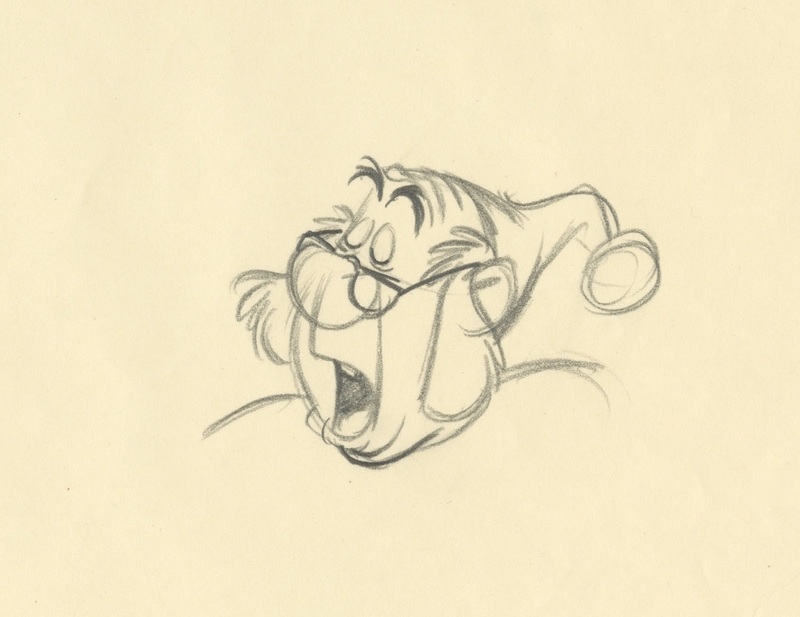 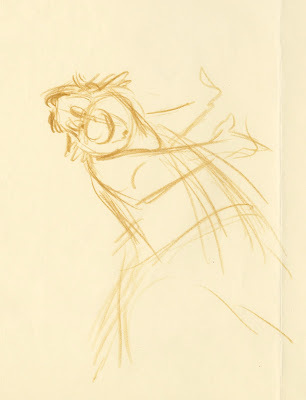 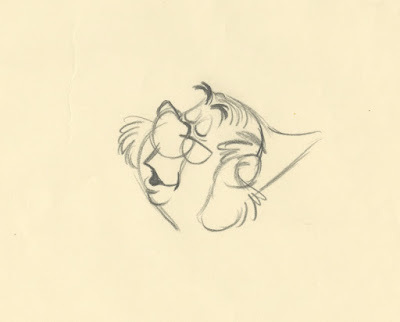 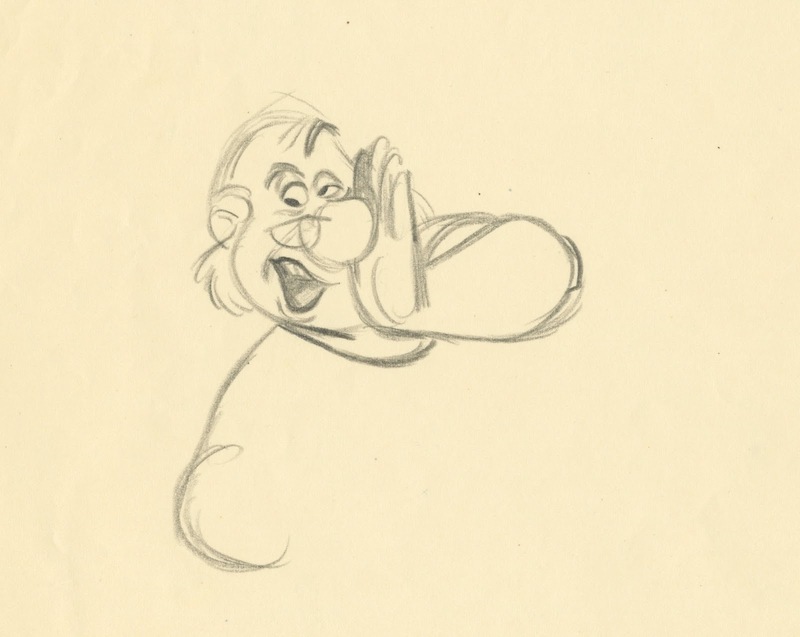 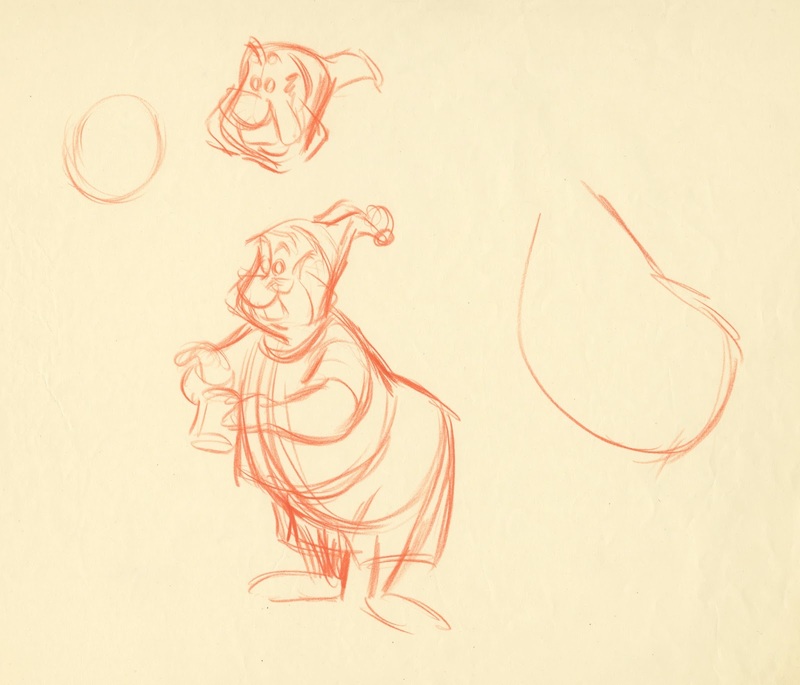 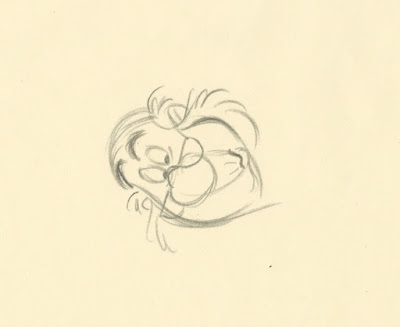 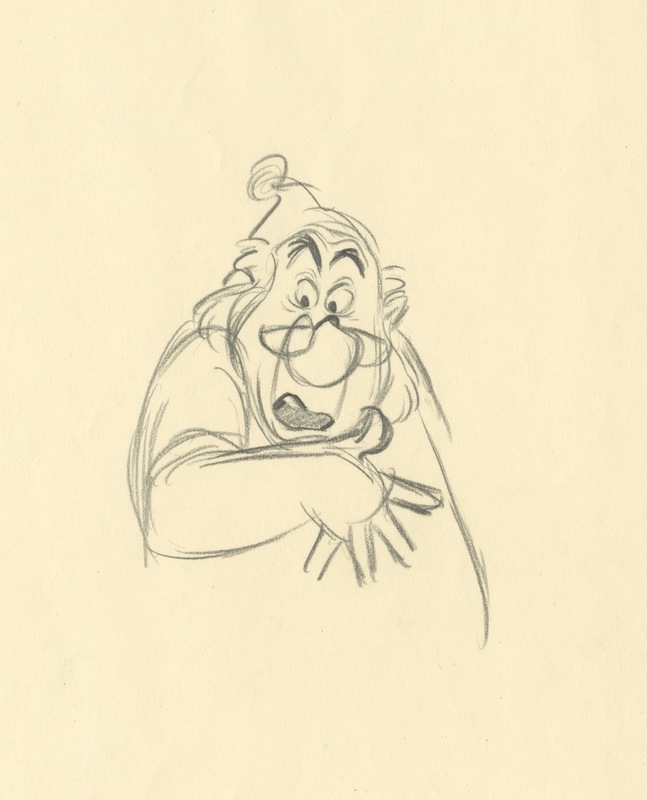 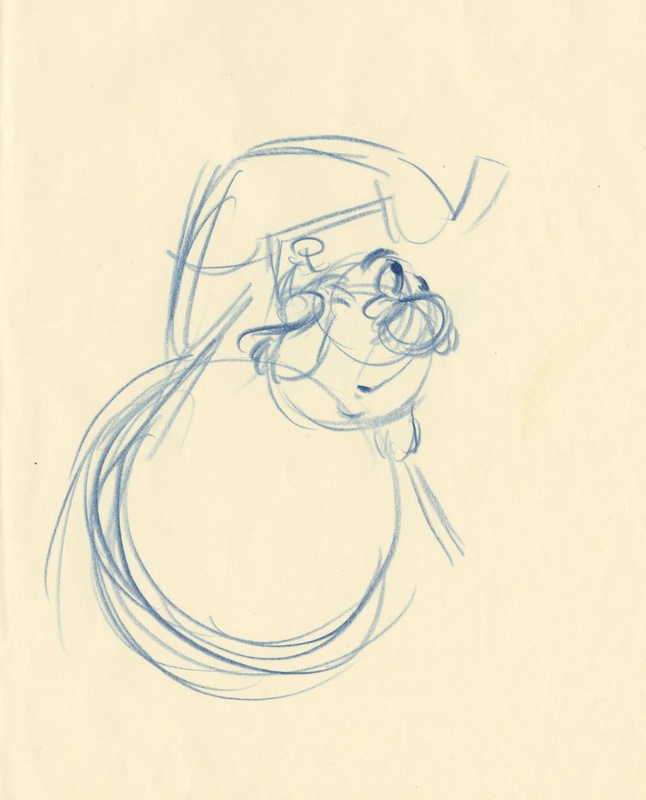 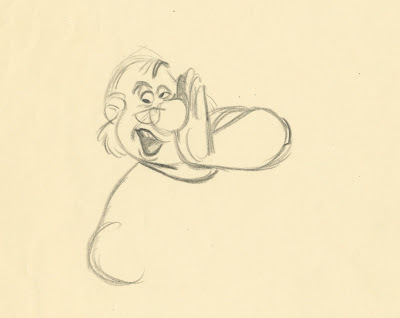 These are design sketches by Milt Kahl, showing construction and anatomy of Smee, a character that was animated and supervised by Ollie Johnston. These all come from Ollie's estate, they are drawings he kept after production on Peter Pan wrapped up. 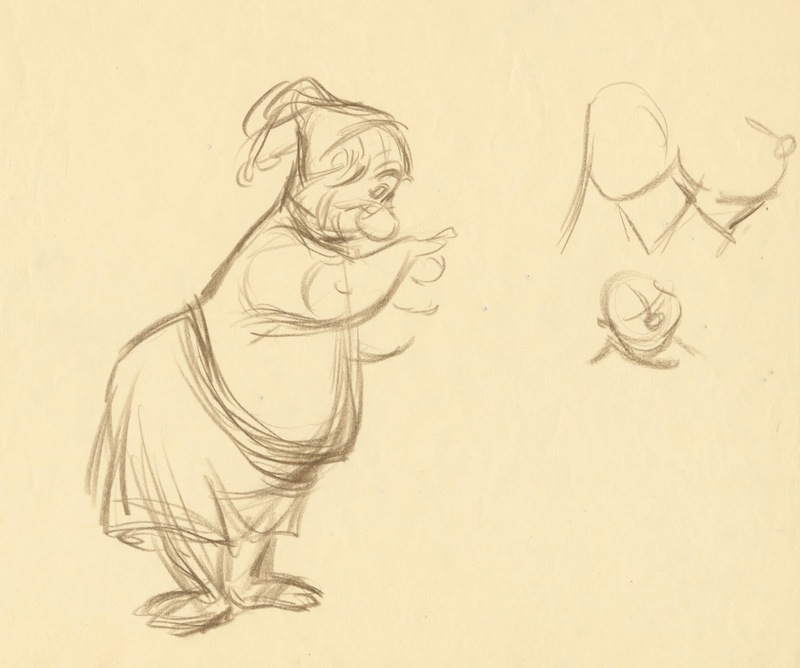 The power of teamwork! Milt's solid and inventive draughtsmanship and Ollie's superb acting. You will find a few of Milt's draw overs for Ollie's shaving scene, which I featured in my last post. 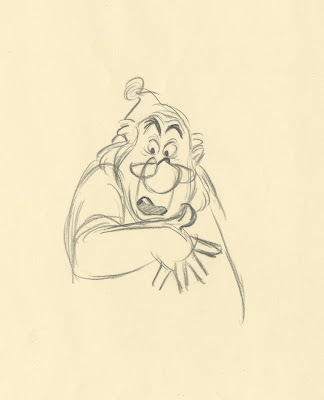 I have animator friends who's favorite Disney character is Smee. I can see why, his animation is influences by Fred Moore, Ollie's mentor. 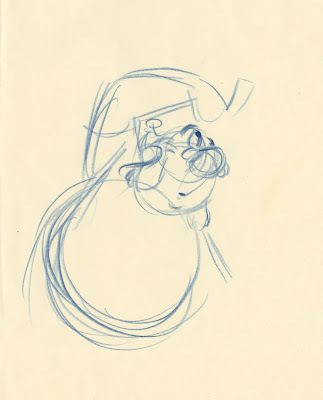 But Ollie goes further in his acting, he hits a high note as far as his animated career. 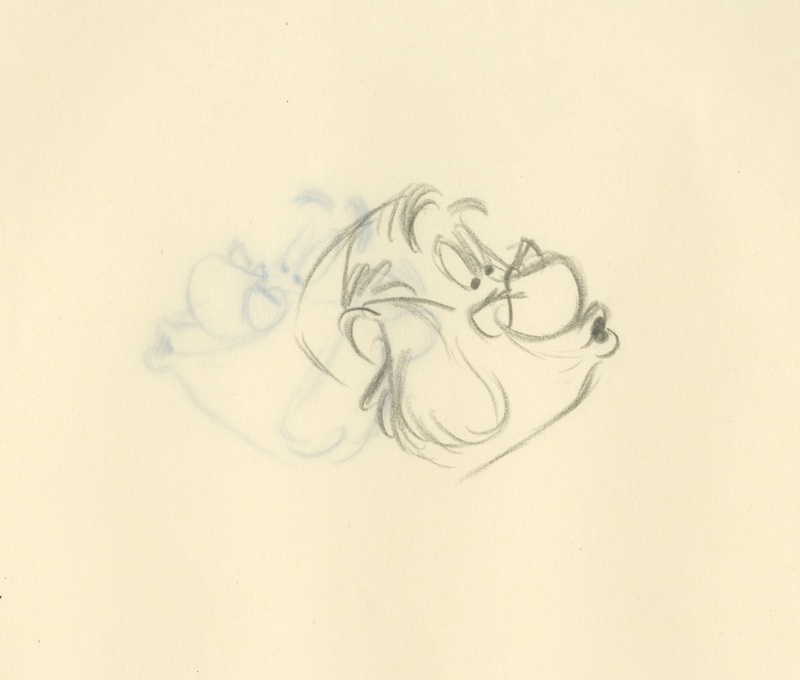 There is a Moore fluidity in the animation, but the acting is all Ollie.